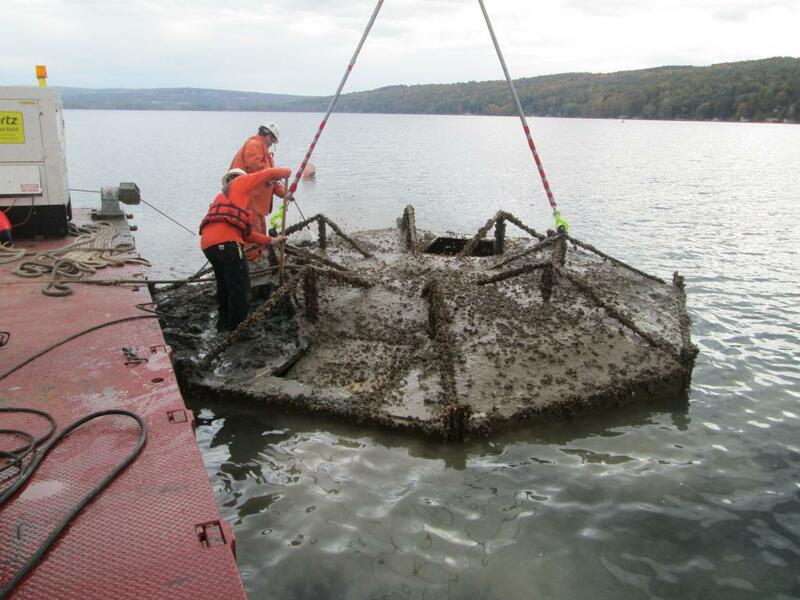 Cornell Lake Source Cooling Intake Cleaning - Global Diving & Salvage, Inc. 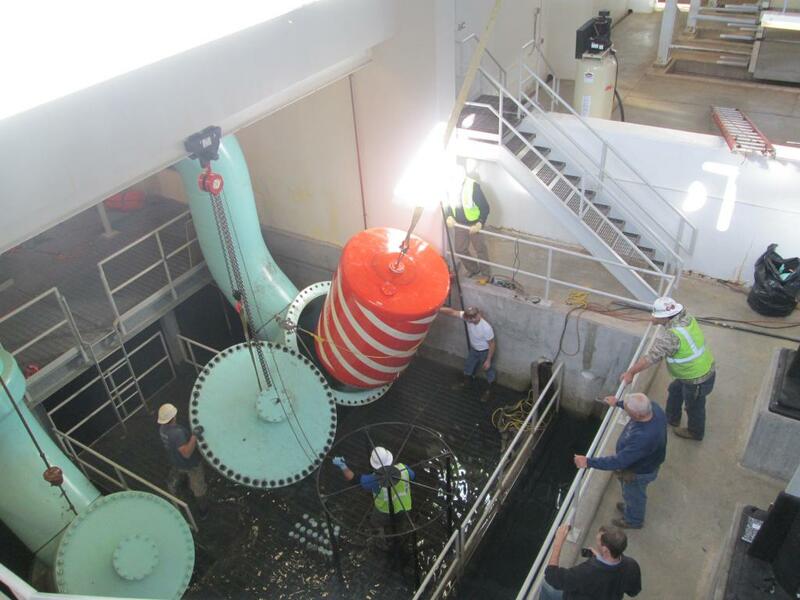 Global was contracted to perform intake cleaning and maintenance services for Cornell University’s Lake Source cooling system. 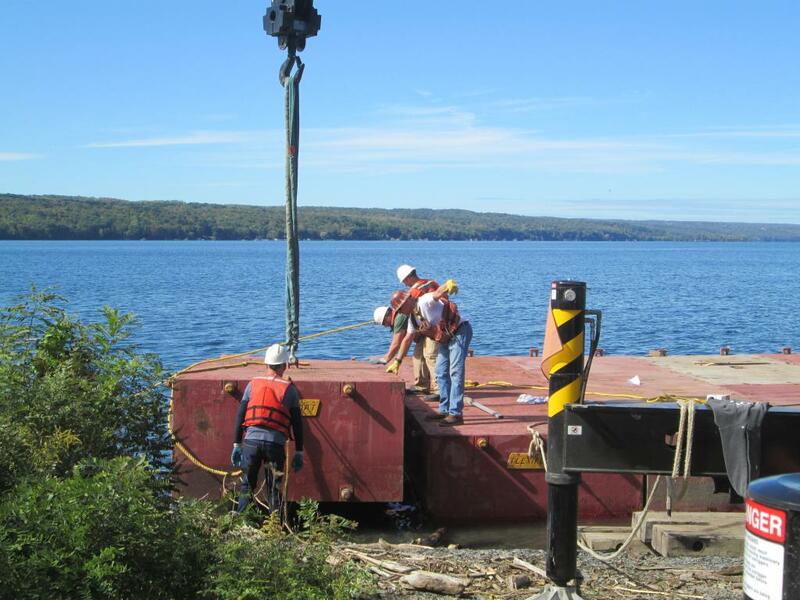 A sectional barge was anchored in 250-feet of water on the university’s inland lake. 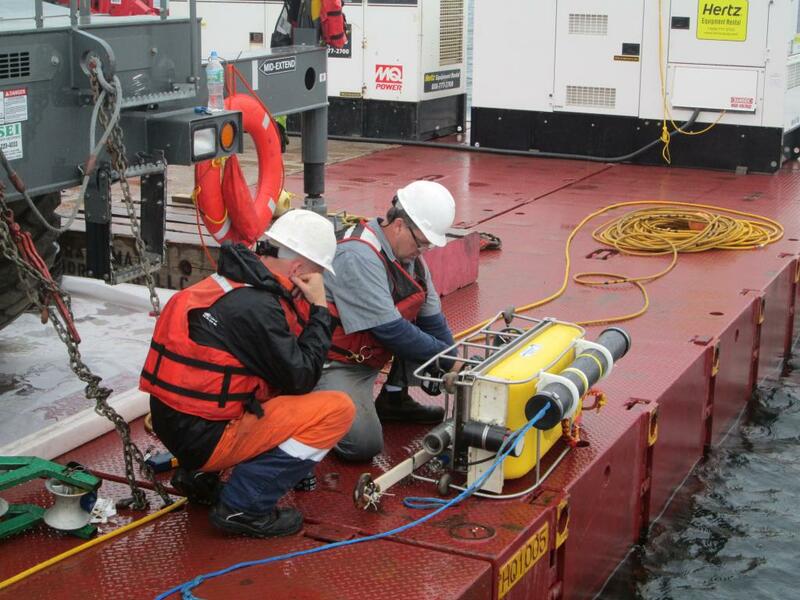 Global used a work-class ROV to connect a lifting wire to the intake screen so it could be hauled to the surface by crane for cleaning and inspection. 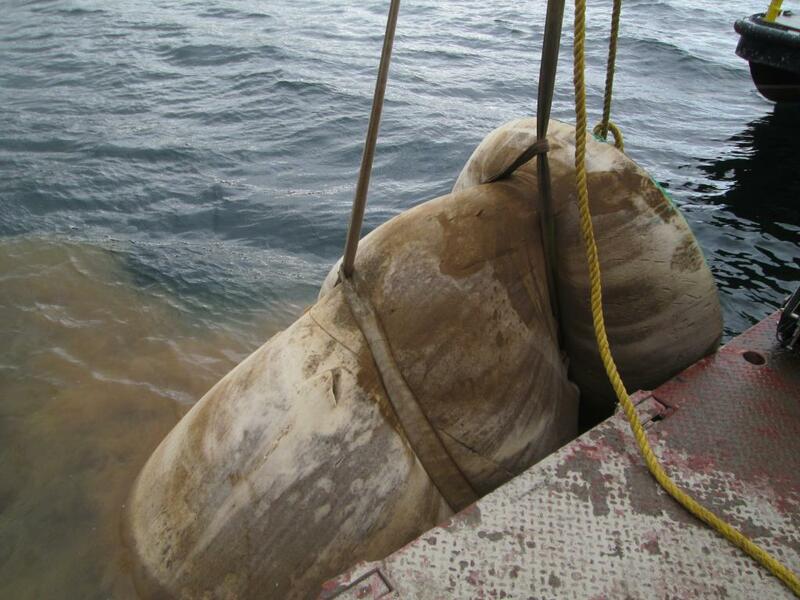 With the screen off, three cleaning pigs were sent through nearly 2 miles of 62-inch diameter pipe to clean accumulated quagga and zebra mussels. 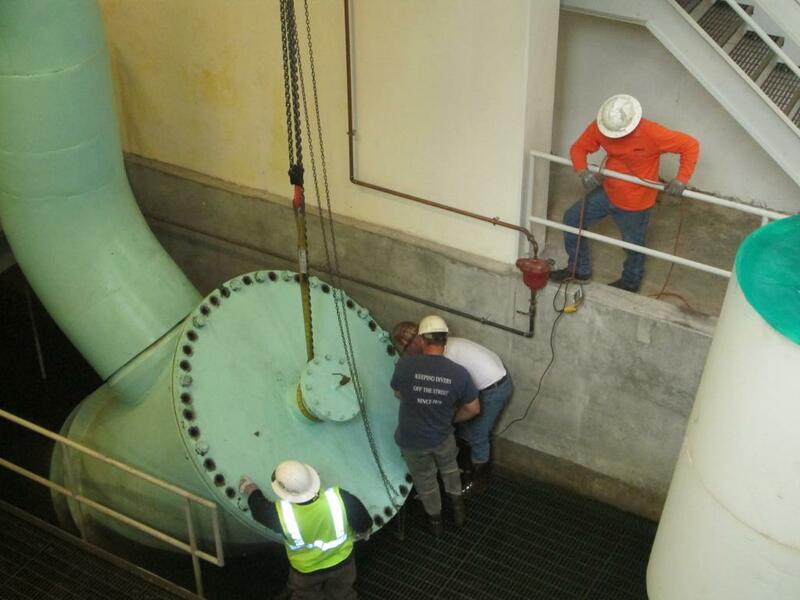 Crews also conducted work at the inshore Heat Exchange Facility building, removing and installing large blind flanges to allow the pigging operation to take place. 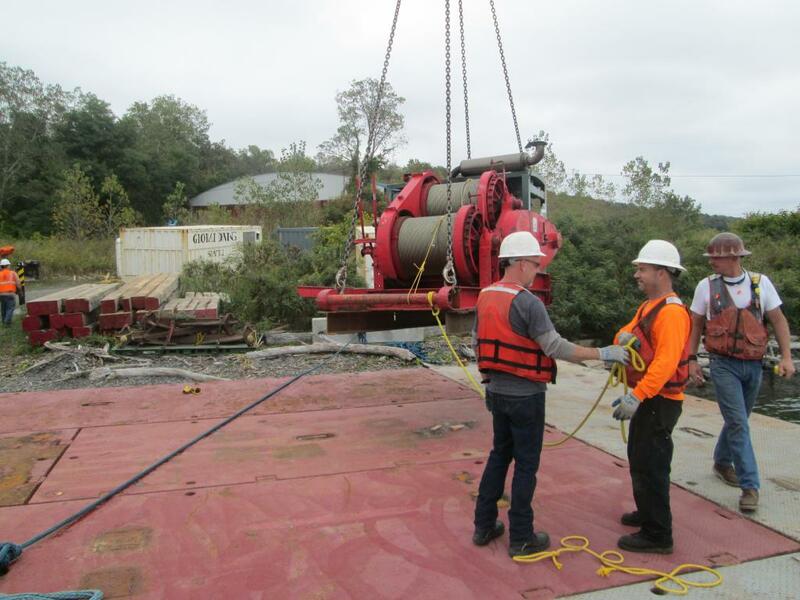 The flanges weighed up to 5700 pounds, with work taking place in a wet well 35-feet deep. 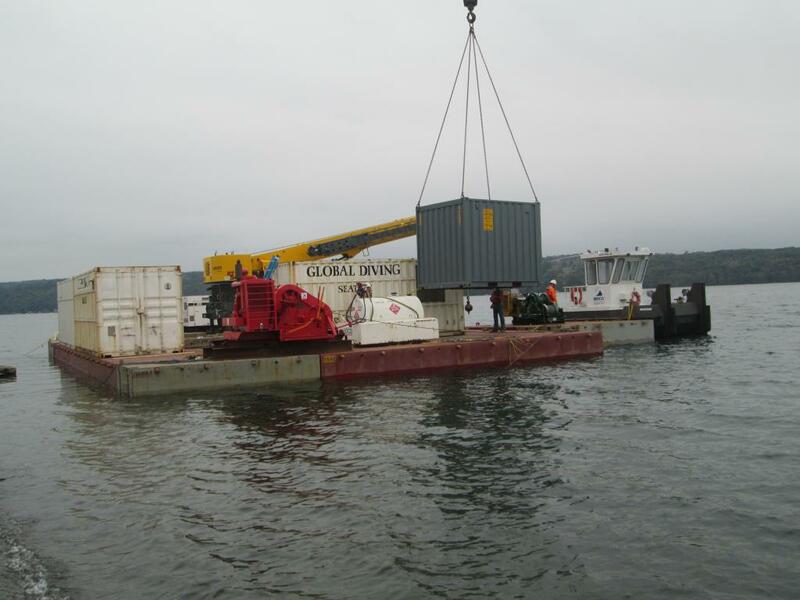 Global’s team completed the dive and intake cleaning operations successfully.